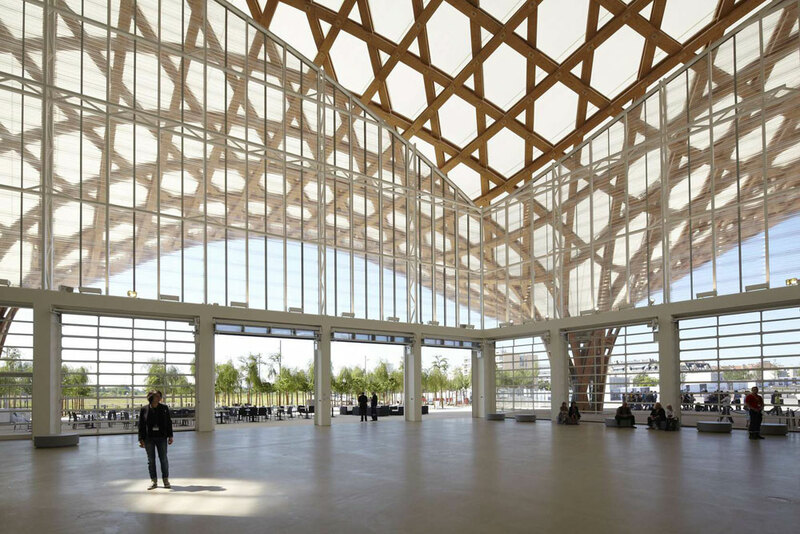 Japanese born, internationally renowned architect Shigeru Ban is known for his humanitarian efforts and unique modernist design. Recent recipient of the prestigious Pritzker Architecture Prize, Ban recognized for the use of innovative materials construct temporary shelters and churches for communities in disaster zones. His projects promote environmental awareness and minimalism in design. The museum is quite large featuring three galleries, a Creation Studio, restaurant, auditorium and office space. High ceilings were constructed and allowed artworks that Paris museums couldn’t fit in their galleries. 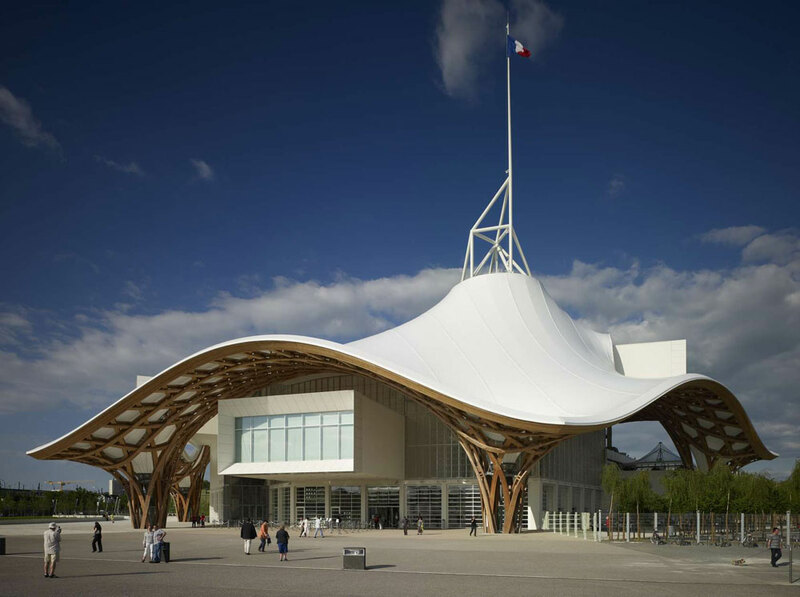 The timber roof in its hexagonal formation connects the galleries together, forming a cohesive design. According to the architects they were inspired by an Asian weaving technique seen in the creation of hats and baskets. 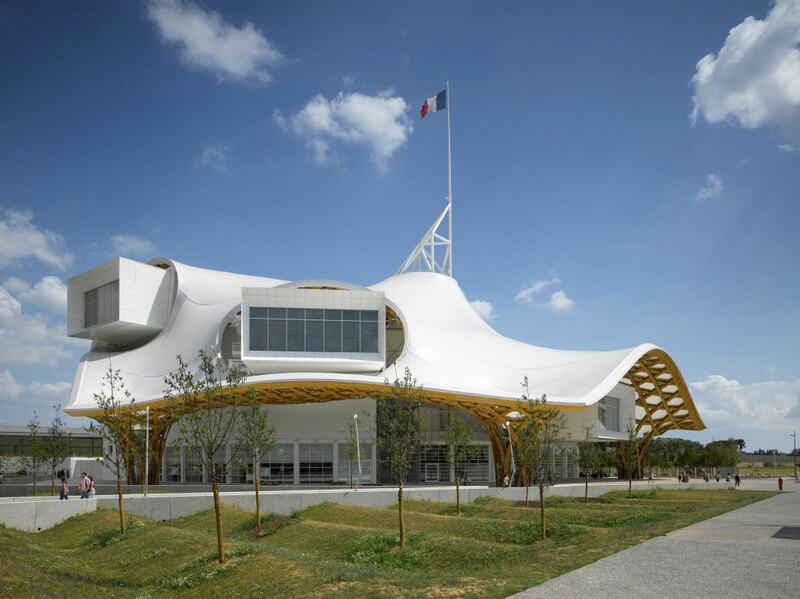 The intricate wooden design composed of hexagons and equilateral triangles instilled national pride, as the French believe hexagons are symbolic of their country’s geographical shape. 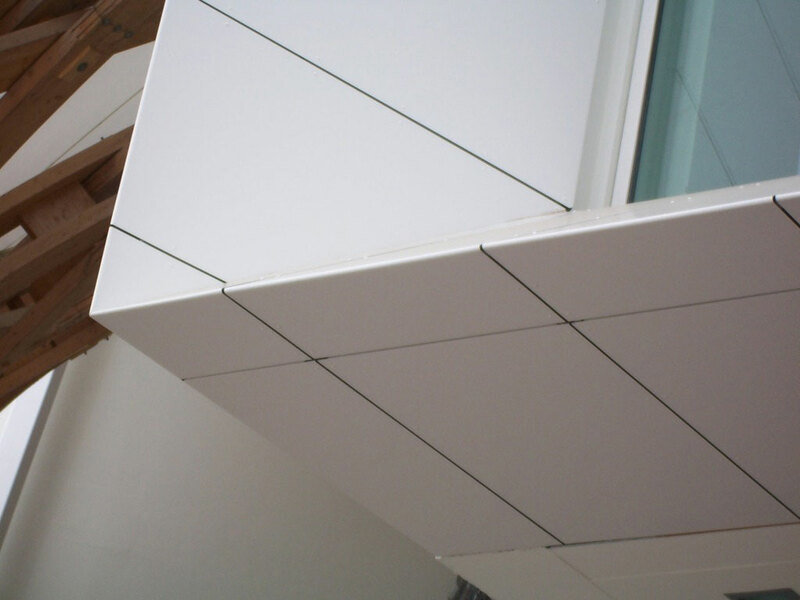 All of the materials used on the project; light laminated timber, white Alucobond aluminum composite panels, white walls, and pale painted concrete, allow the art to emerge as the primary focus of the design. 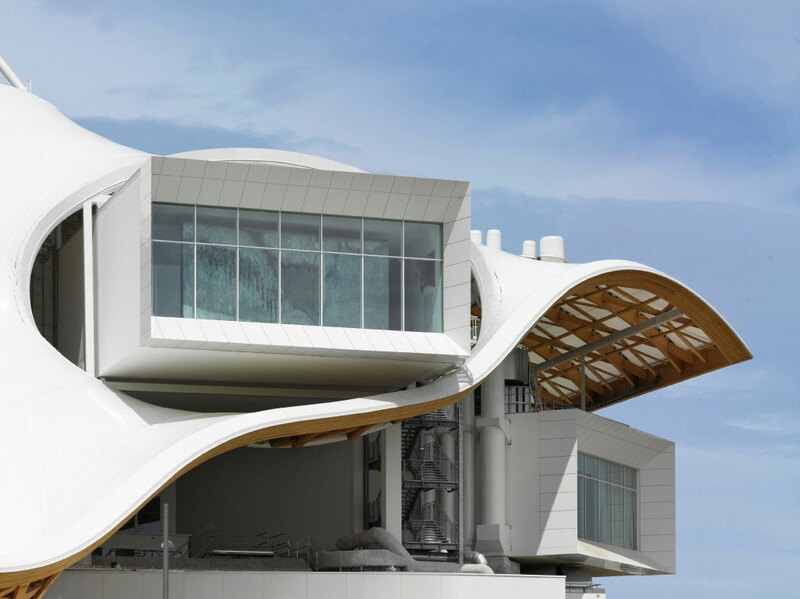 As seen in organic architecture, the building’s design in every attribute from the materials chosen to the design itself serves a complementary functionality to the art featured within.